While USB Safely Remove is an elegant and lightweight tool for safe hardware removal without hassles, Zentimo is a more powerful solution aimed for those who work with USB and SATA drives actively and need more control over their external drives. It's a pop-up menu available with just a click where you can add programs from your drive and run them with one or two clicks. 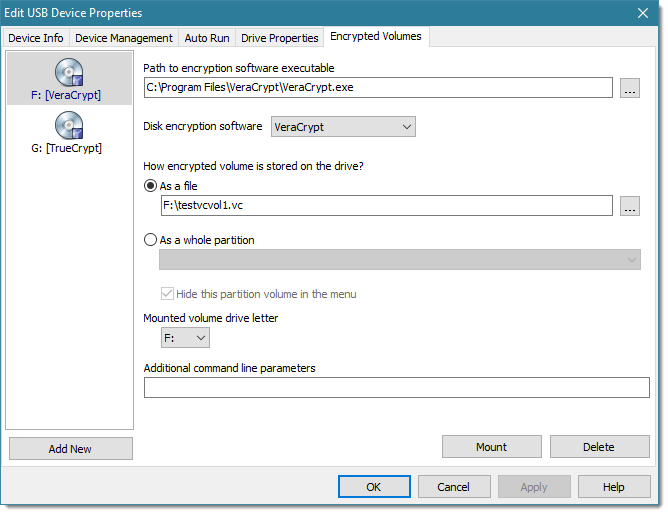 Most other drive speed testers measure only the read\write speed of large files, displaying a theoretical drive speed. This is not related to real-life speed as we often write plenty of small files to external drives. Our investigations show that some flash drives have worse performance than others when writing small files even though their top performance at writing large files is the same. Therefore we added a performance measurement tool to Zentimo that displays the real performance of your drive. 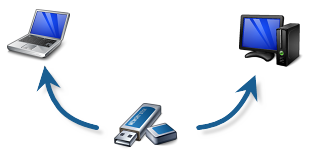 Zentimo measures the file read\write speeds of 3 different file sizes: small files (32 KB), medium files (3 MB) and large files (100 MB) and displays all those measurements as well as an average. The average speed calculated by Zentimo reflects your drives real performance more accurately than characteristics from the vendor's specification. 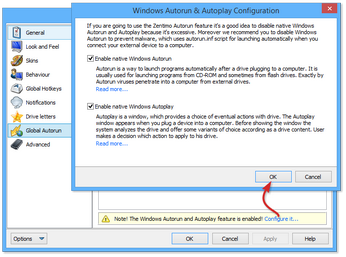 One of the most requested features for Zentimo was an ability to fight with Autorun viruses. 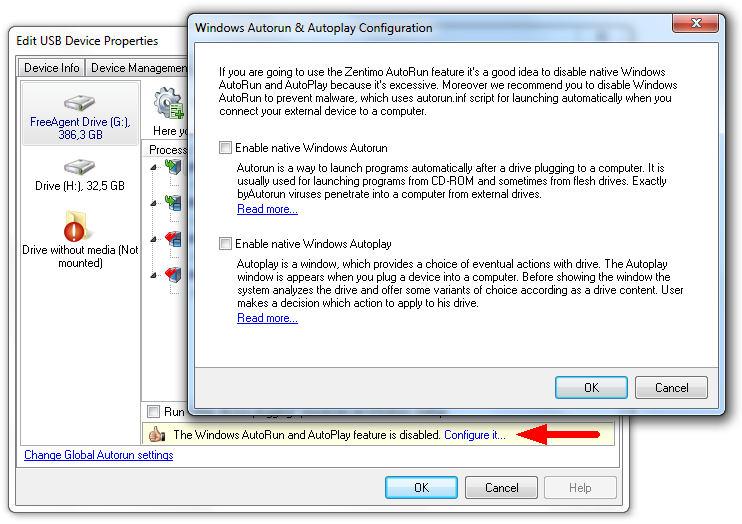 We do not want to compete with antivirus software so we decided to add a dumb but a hundred-percent guaranteed way to get rid of autorun viruses on your computer: option to fully disable native Windows autorun & autoplay features. 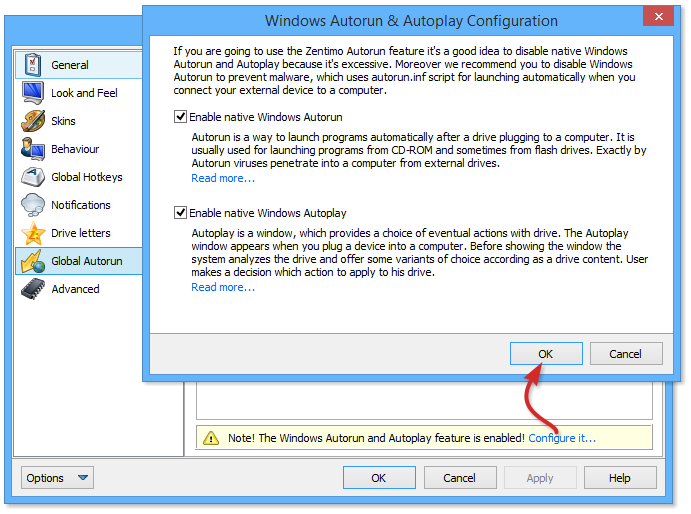 Autorun viruses infect your computer through windows autorun & autoplay so by disabling them fully the autorun viruses just won't run. 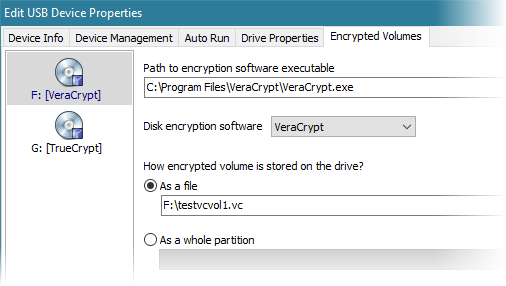 Your encrypted by TrueCrypt, CipherShed or VeraCrypt containers that are stored on external drives can be handled like a device volume: you can see them on the device menu, they can be automatically mounted\dismounted on device connection\disconnection and even if a program prevents container device from being stopped Zentimo allows you to see and unlock this program. 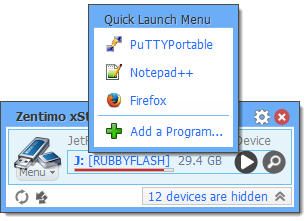 All USB Safely Remove's registered users can purchase Zentimo with 50% off! Find more information here.